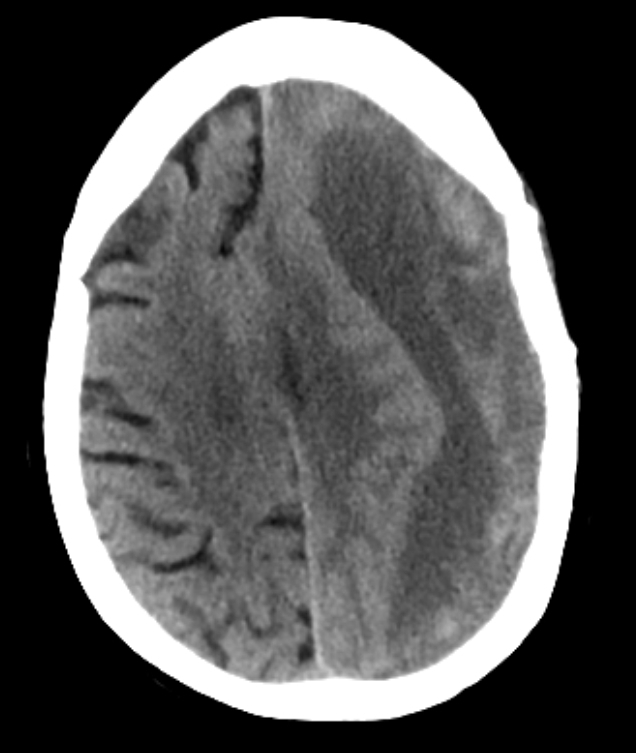 Chronic subdural haematoma is a common treatable cause of dementia. 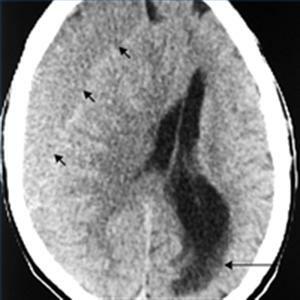 Acute usually within 24-72 hours of trauma. Bright white fresh blood and possibly a fluid level Stop anticoagulation and urgent neurosurgical consult and possibly emergency surgery. This usually is a craniotomy where a larger section of the skull is removed, the clot is lifted out, and the skull plate replaced. 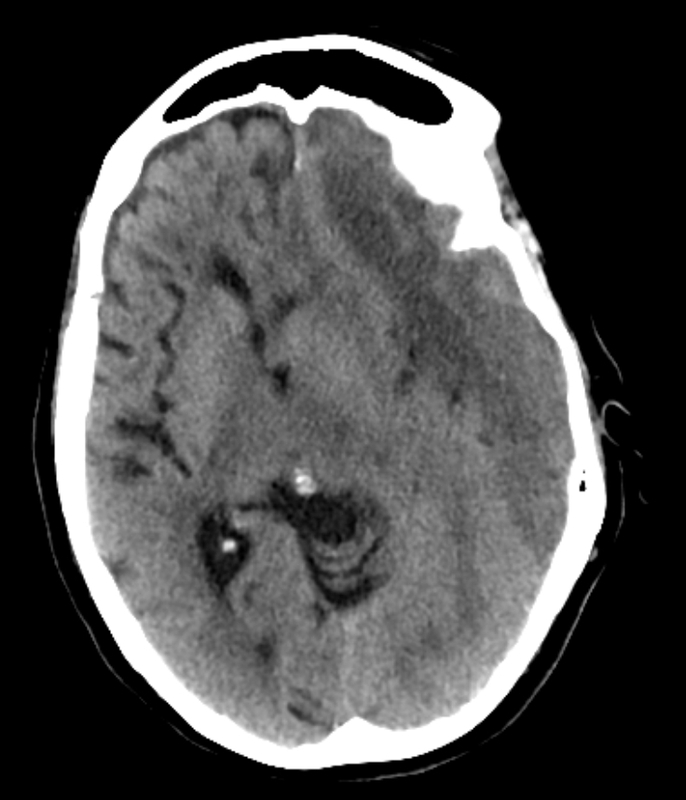 CT scan is diagnostic usually and not subtle. However a very small SDH can be easily missed. 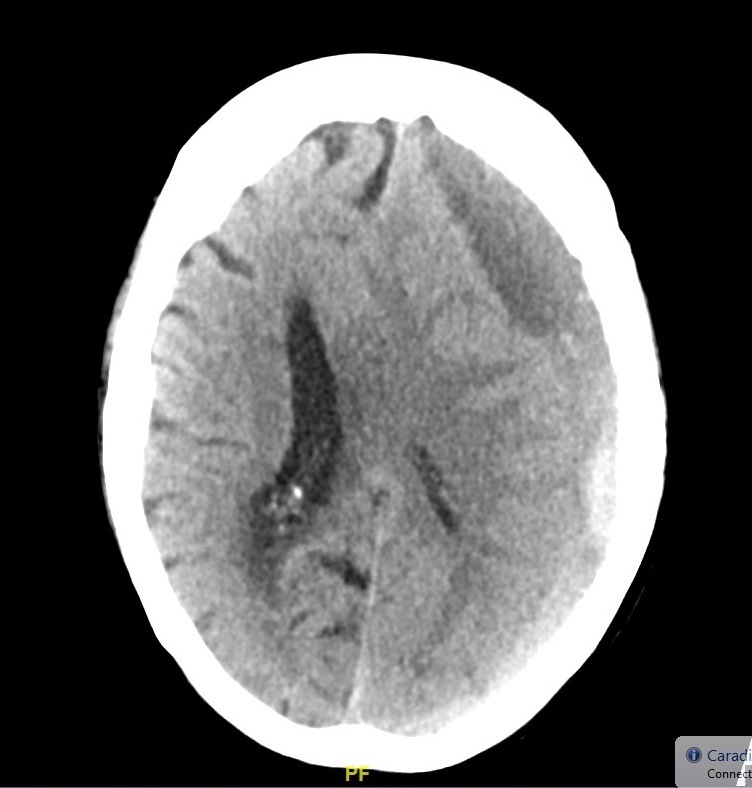 usually asymmetry of the subdural space on CT may be the clue. Blood may be acute "bright white" or less acute and mottled as it becomes subacute. Over time it becomes darker. There may be a fluid level in the subdural space. At some points a SH can become isodense to brain and can even be missed. MRI is indicated if not sure. MRI is helpful when there are subtle changes. The blood sequences will show a rim of subdural blood. 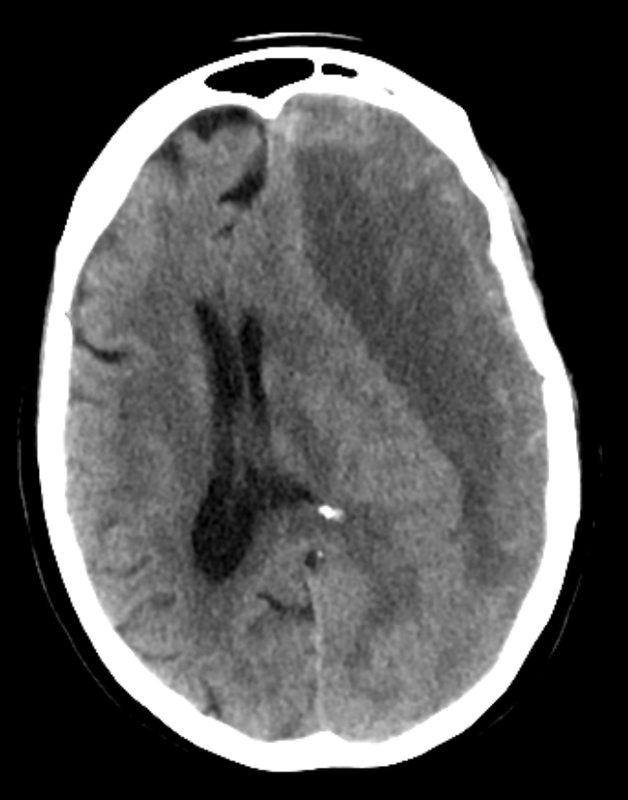 Small subdural haematomas with mild symptoms may require no treatment beyond observation. Repeated head scans will likely be needed to monitor haematoma size and trends and stopping anticoagulation in the short term. 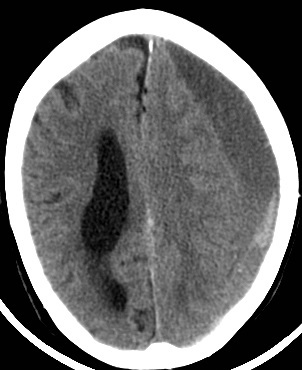 In the comatose patient due to an acute SDH with fresh bleeding then definitive management is to reverse anticoagulation and stop antithrombotics and emergency Neurosurgery which will usually involve a craniotomy/craniectomy to remove the haematoma and ITU care. In the stable patient the Neurosurgeons may delay surgery until the clot has liquefied and can be taken out via burr holes. Again anticoagulation should be stopped. In this situation with stable patients they may be managed as outpatients as long as they are closely supervised for any worsening. Long term management of antithrombotics and anticoagulants needs to be decided on an individualised basis.